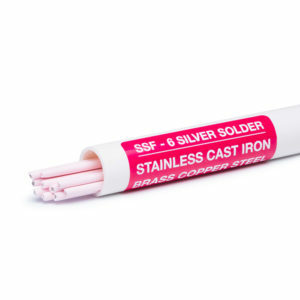 SSF-6 can be used to solder stainless to stainless with an oxyacetylene torch. After finishing, clean up the flux with water and a wire brush. You don’t have to use oxyacetylene to make these repairs. Propane, MAPP gas and even butane will work on small parts.